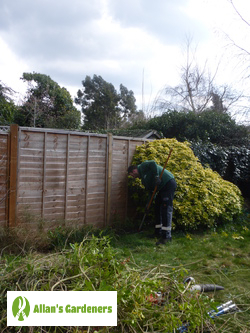 Keeping on top of maintaining your garden, no matter how big or small, can often be an arduous task, which is why the highly skilled garden maintenance professionals in Pinner HA5 are the perfect solution for any gardening task! You'll have healthier plants and we'll make your property more attractive to enjoy your time in. We've built up a winning combination of cutting edge tools and hard labour so that each job is undertaken right down to your exact specifications. Not only will the experts complete the job in a timely manner but we'll make certain that you're getting value for your money by offering you a free quote that won't hurt your wallet. With years of experience behind them, all the gardeners have extensive knowledge of all aspects of gardening from weeding to ivy pruning or removal, and can turn their green fingers to any job you have in mind. Same day service - if you need the Pinner HA5 garden maintenance pros in an emergency we're always here to help - even when the weather is bad! 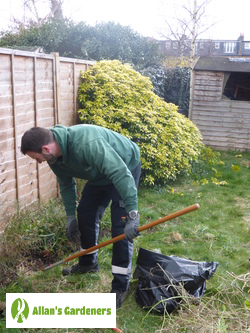 We believe everyone should be able to have help in the garden that doesn’t cost the earth, so if you live in and around the following areas, you too can take advantage of the services that we offer: Stanmore, Edgware, Ilford, Loughton, Barking.